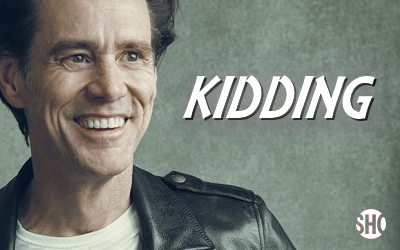 Another actor has been cast for the TV series "Kidding", starring Jim Carrey as "Jeff (aka Mr. Pickles), an icon of children's TV, a beacon of kindness and wisdom to America's impressionable young minds and the parents who grew up with him - and who also anchors a multimillion-dollar branding empire. But when his family (his wife, two sons, sister and father) begins to implode, Jeff finds no fairy tale or fable or puppet will guide him through this crisis, which advances faster than his means to cope." Joining the ensemble is Judy Greer, who will be playing Jim Carrey's wife. Judy has been part of many comedies in both TV and movies and we are certain she will bring a lot to the series.